Have you ever considered a rental car when you travel internationally? We don’t think you should dismiss the idea of driving in a foreign country. There are pros and cons of course, but being able to go where you want gives you so much freedom. Let’s discuss some things you should think about. 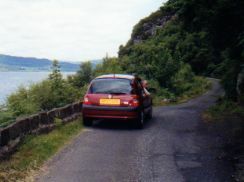 ...But it gives you great flexibility to see the backroads, small towns and all the countryside. If you travel with friends and can split the cost, all the better. And always think about the price of gas. Plan your trip and think about where you want to go. Are you going to be out in the countryside? If you're planning to go just to big cities.... skip the car. You don't want to be driving a car in the cities, and you don't want the expense or liability of parking one. If you're spending time in Rome and Florence, for instance, take the train between them. 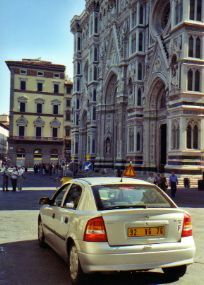 If you want to spend time in Tuscany after that, rent the car in Florence. Or at least it will get you there faster and easier. We most often leave on our trips with no hotel reservations, but the one reservation we have if we want to drive is for our rental car. Big Or Small Rental Agency? The more remote the area you're going to, the more you'll probably want to go with a well known company so you will have more options and protection if something happens... and easier contact once you're home. We've rented cars in Papua New Guinea, Namibia, and on the border of Botswana to get to South Africa... and the well known companies we used made it easy. Compare Prices - "Apples to Apples"
...and that you are comparing the cost for the same size car. To Rent In Town Or At The Airport? It is usually cheaper to rent the car in town rather than the airport where there are often extra fees. Having said that, sometimes we go back to the airport to rent just for the ease of not having to drive in the city. Is One Country Cheaper Than Another? If you're going to more than one country... research which country has cheaper rental car fees (especially taxes), and plan your itinerary accordingly. We have friends who lease a car in France for their trip to Norway every year because it is so much cheaper. Where To Drop Off? Is There A Drop Off Fee? Do you want to do a one way rental... and pay the drop off fee? Or do you want to get back over the border to avoid a drop off fee? In some countries, there is no drop off fee within the country... check on that. Or do you want to drop off where you rented? Can You Take It There? 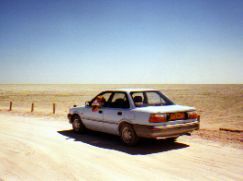 Can you take the car over borders to the countries you want to visit? Ask each agency you check with if it will be OK to take the car over a border. Some agencies will let you, others won't. You might have to declare the countries you plan to drive in when you rent the car. We often change our minds about destinations when we're on a trip, but this will definitely be a factor. The first time we went to the Czech Republic, we couldn't take the car in from Germany... so we just took a day trip on a bus. The rules change all the time. Check all of this each time you rent. Write down the details and your confirmation number, so when you arrive you make sure you get the deal you reserved for. What Kind of Insurance? Will you take their insurance or will your credit card cover you? Driving in Africa we were advised to take "animal collision insurance". That was something our credit card insurance wouldn't cover! And if you'll be driving on dirt roads, you'll probably need to take their insurance too. What kinds of driver's license do you need? We've rarely been asked for it, but some countries do require an International Driver's License. How many drivers will you have? Will there be an extra charge for that? Inspect the car. Do this at the rental car lot to make sure all damage is recorded... even little scratches and dents count in some countries. If you find something... have them mark it down. All things you need to think about just as you've gotten off the plane with jet lag. When you're driving an unfamiliar car in an unfamiliar country you have to think about safety for the car and for yourself. Will you be comfortable driving on the left? Should you drive in the dark? Should you stop to help a stranded motorist? Where should you park the car for the night? Should you pick up a hitchhiker? We did, but that's another story... With Pidgon English (Tok Pisin) he was able to help us get to our destination... and get a ride home on top of it. The only hitchhiker we've ever picked up! Can You Read the Road Signs? ...And they may be not only in a different language, but in a different alphabet! 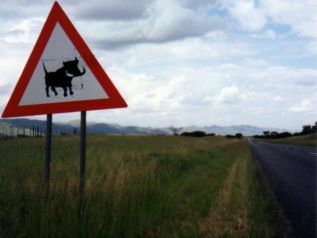 Some make you laugh, like this warthog sign, but you need to know what road signs mean to drive your rental car safely and get where you want to go. Are you going to drive on the right or on the left? Will you be on super highways with tolls or on narrow country roads? Will there be tunnels, ferries and roundabout? Will there be domestic animals or wildlife to contend with? 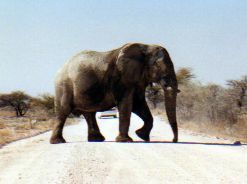 Elephants really do have the right of way. You'll be more comfortable if you do some research and know what to expect on the road. If it can happen to your car at home, it could happen with your rental car. ...or you could get stuck waiting for that elephant to get off the road. Expect it, plan what you might do, then don't worry. The problems will probably never happen, but if they do, deal with them... then laugh your troubles away and get on with your trip! 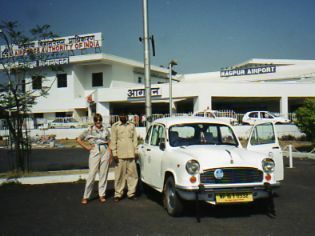 There are some countries where you don't want to rent a car (or can't) and you might have to hire a car and driver... as we did in India and Mali. Make sure the driver is safe and knows what you need. In countries where the traffic is just too confusing or the road too hard to find, this can give you great peace of mind. How Will You Get Directions? Mark has always said that the navigator is THE critical component…. and I’ll admit, I’m good. Through most of our travels, we relied on good old paper maps. These days, our phone works as a GPS in many countries. How you navigate is up to you. And we’ve never been shy about stopping to ask directions. 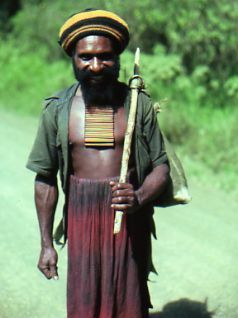 Sometimes local knowledge is important… and it’s fun talking to locals. When we have friends along, we tell everyone to be back seat drivers. If they see a road sign we missed or something dangerous happening… call not out. The more eyes the better. If you decide you do want a rental car, just stay calm, use good common sense, and drive defensively... you'll have a great adventure!